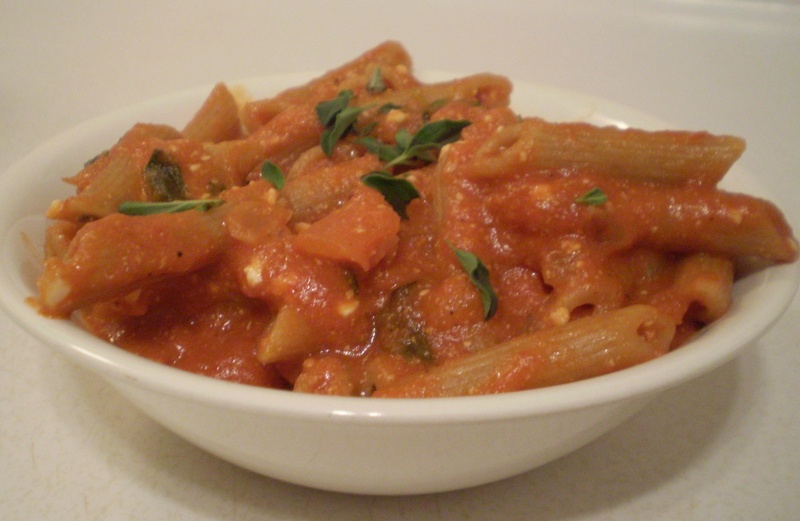 Whole wheat penne coated with marinara sauce and garnished with oregano leaves. Heat a deep pot on high. Add in butter, oil, onions and garlic. Turn down heat to medium and cook until the onions are soft (about 5 minutes). Add in the crushed tomatoes, bay leaves, oregano leaves and sugar. Combine well. 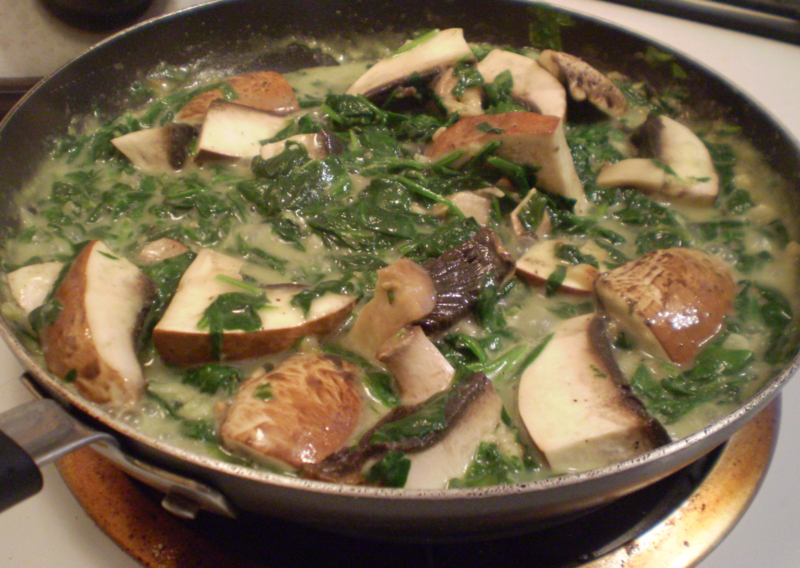 Bring to a gentle simmer and cook for 15 to 20 minutes so that all the flavours meld together. Add in the pasta and feta cheese. Season with salt and pepper. 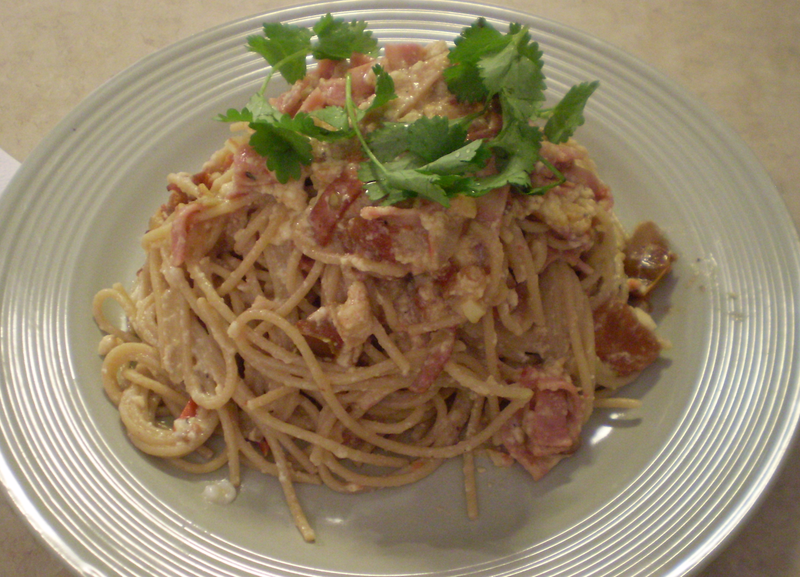 Mix well and cook for one or two more minutes such that the marinara sauce is coated to each pasta. Serve immediately. *I like my pasta heavy on the sauce but feel free to adjust the the quantity of pasta and tomato sauce to your own preferences. 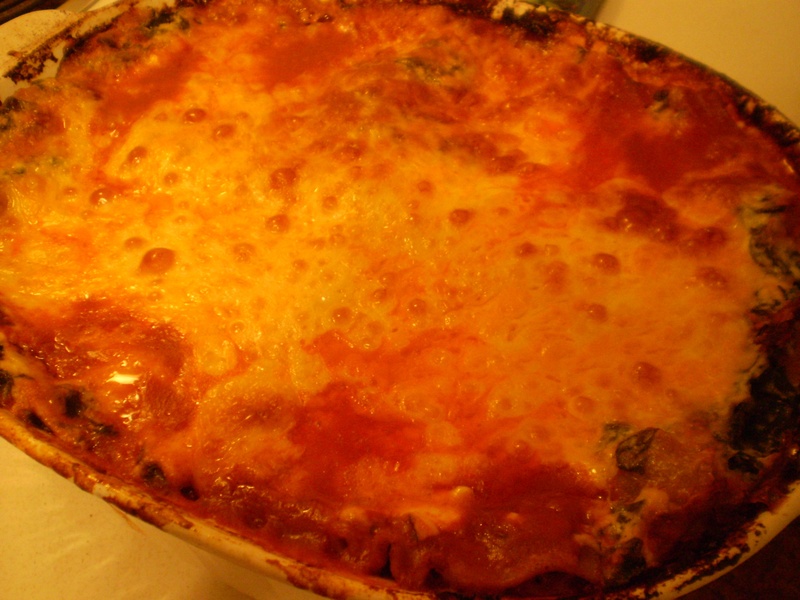 The following is a lasagna recipe made with layers of meat sauce and spinach, then topped with grated cheddar and mozzarella cheese. Heat a large pot on high. Once the pot is hot, add in the olive oil, onions and garlic. 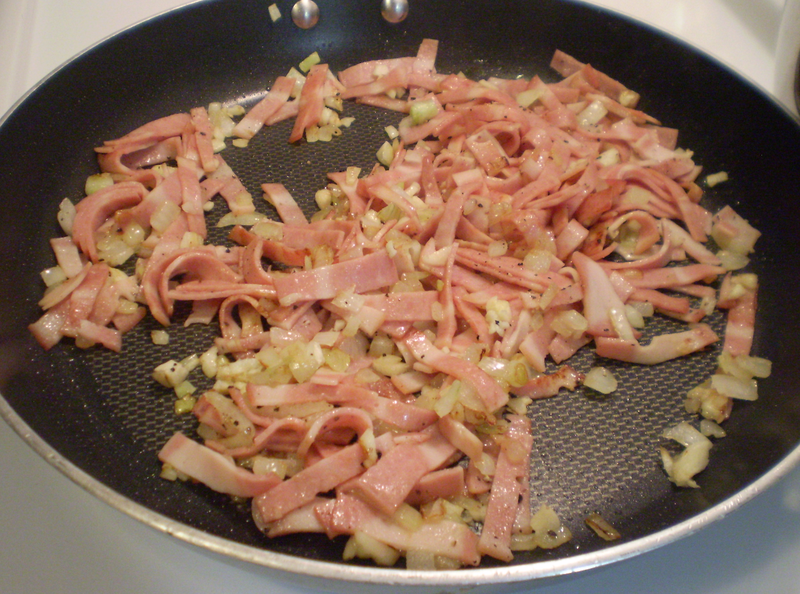 Cook until the onions are soft and appear translucent, then add in the ground beef. Using a wooden spoon, break up the ground beef into as small pieces as possible. Once the beef is cooked, add in the paprika, oregano, salt, pepper and sugar. Mix well and then add in the red wine, water and crushed tomatoes. Stir the sauce and meat, then let simmer for an hour. 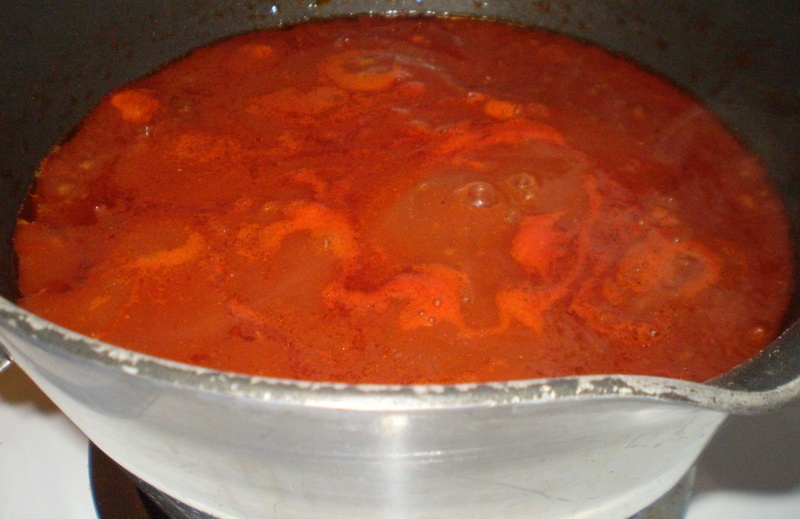 Do not stir while simmering because over time the meat will sink to the bottom and the top of the meat sauce will be mostly liquid. You will need to use this liquid later. Meat sauce made with extra lean ground beef and crushed tomatoes. Heat a medium sauce pan on high. Once the pan is hot, add in the olive oil and garlic. 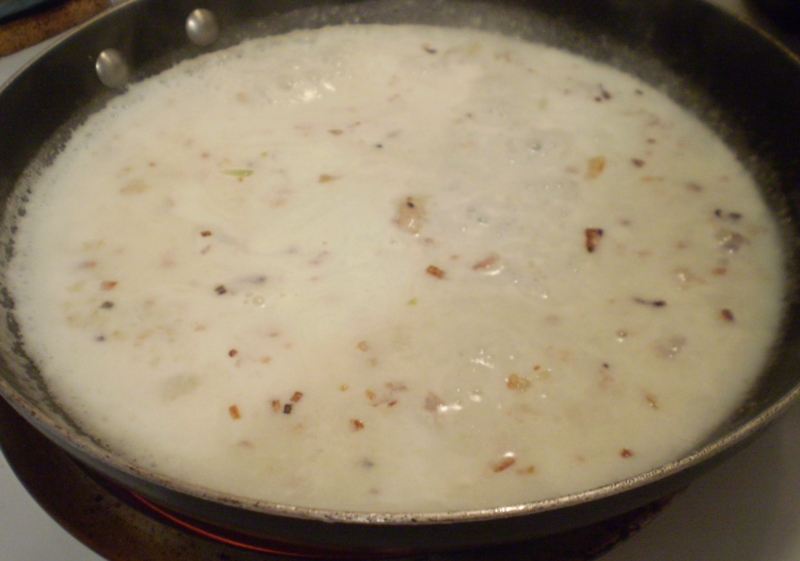 Brown the garlic and then sprinkle the flour in evenly and thinly. Cook the flour for about 30 seconds, and then add in 1 cup of milk. 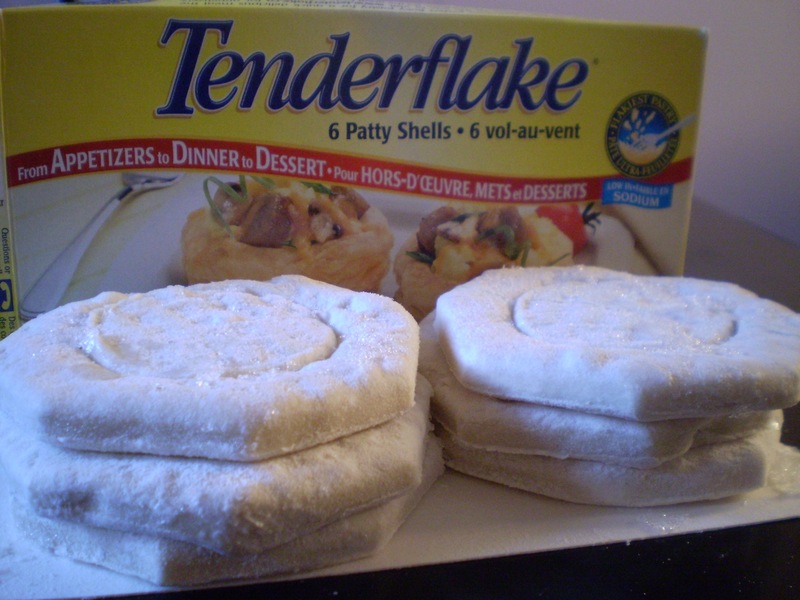 When the milk begins to heat up, it will thicken because of the flour. 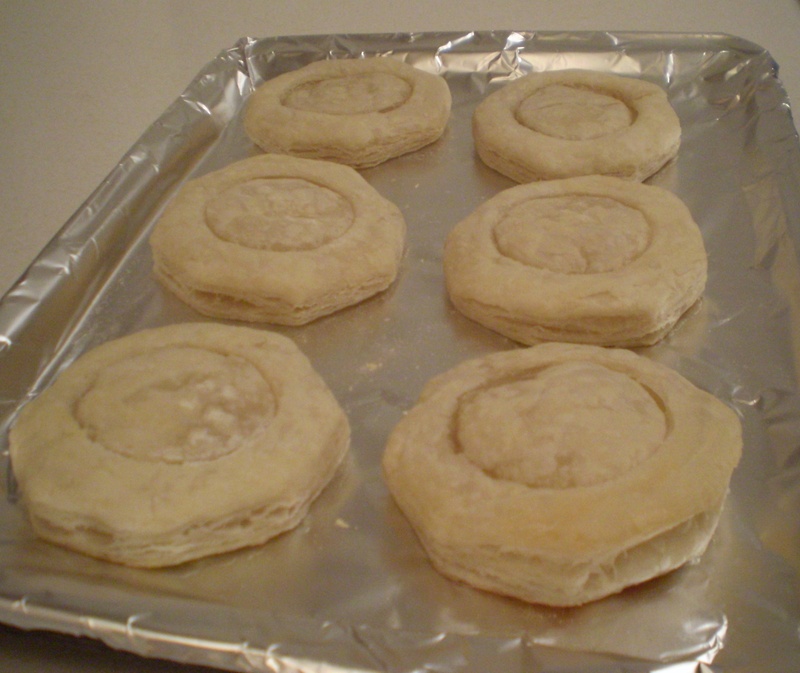 Stir well and break up any flour clumps that may have formed. 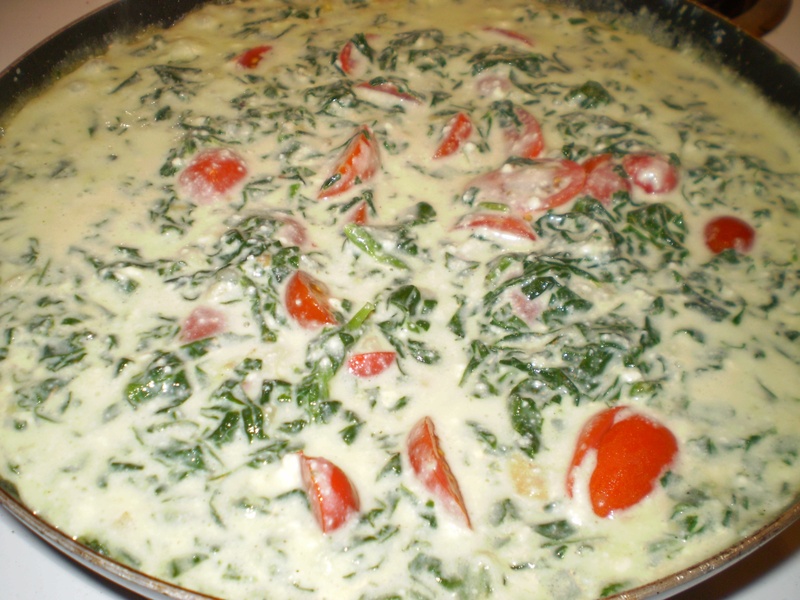 Add in the remaining milk and a handful of spinach. 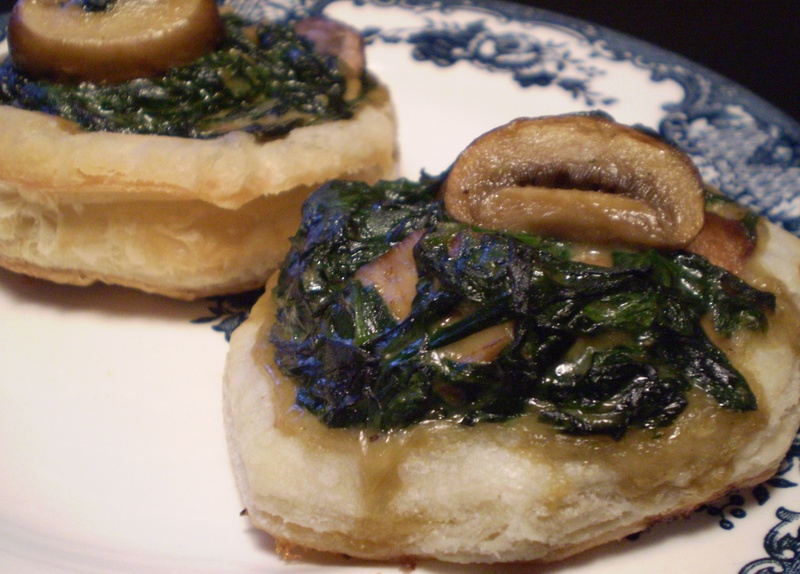 Mix well and once the spinach wilts, add in another handful of spinach until all the spinach as been placed into the pan. 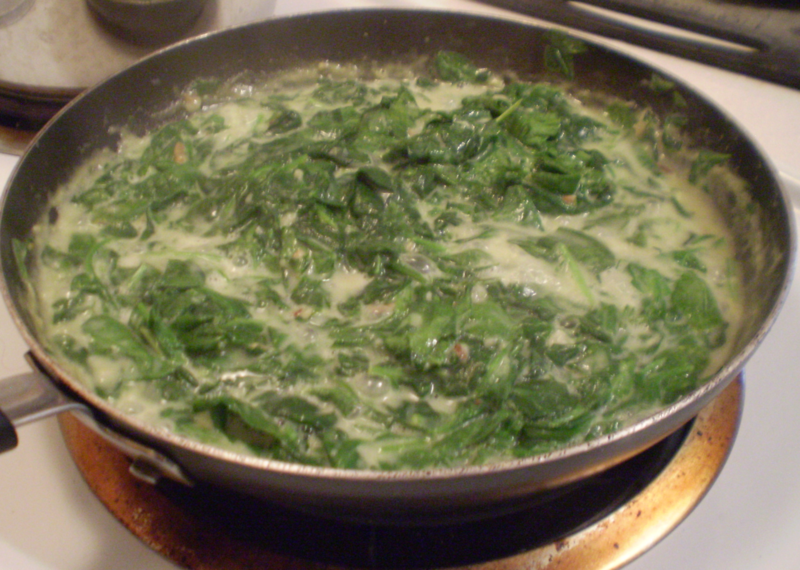 There should be enough milk in the pan to cover the spinach; if not add in more milk. 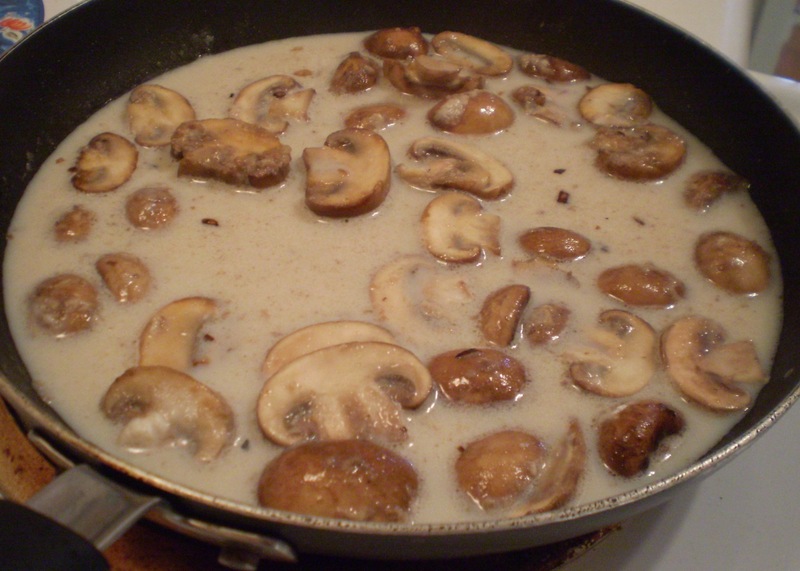 Simmer for about 15 minutes and add salt and pepper to taste. 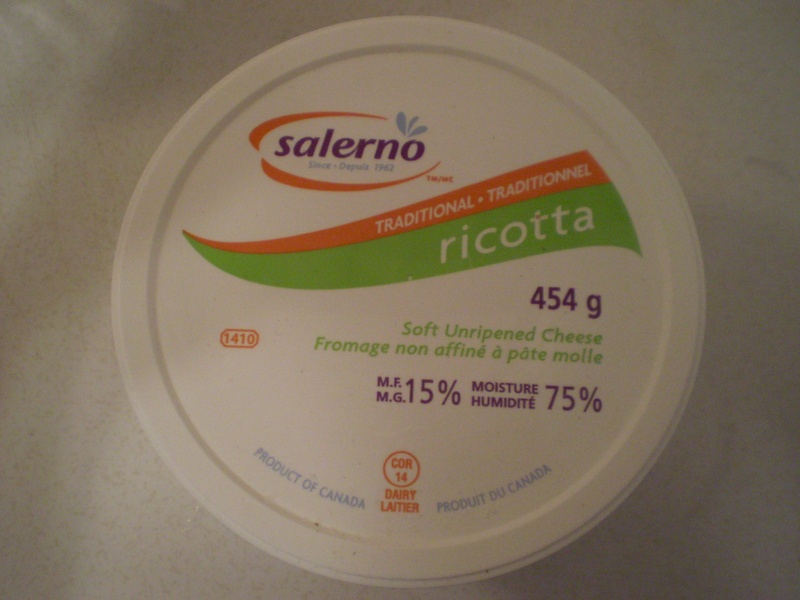 Remove from the heat and add in the ricotta and mix well. Have a taste to see if more salt is needed. 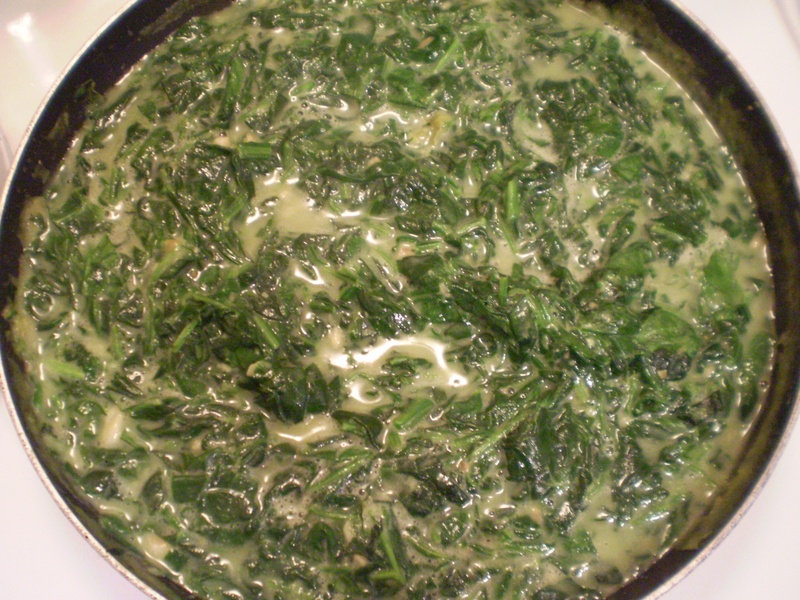 Spinach poached in a milk sauce. 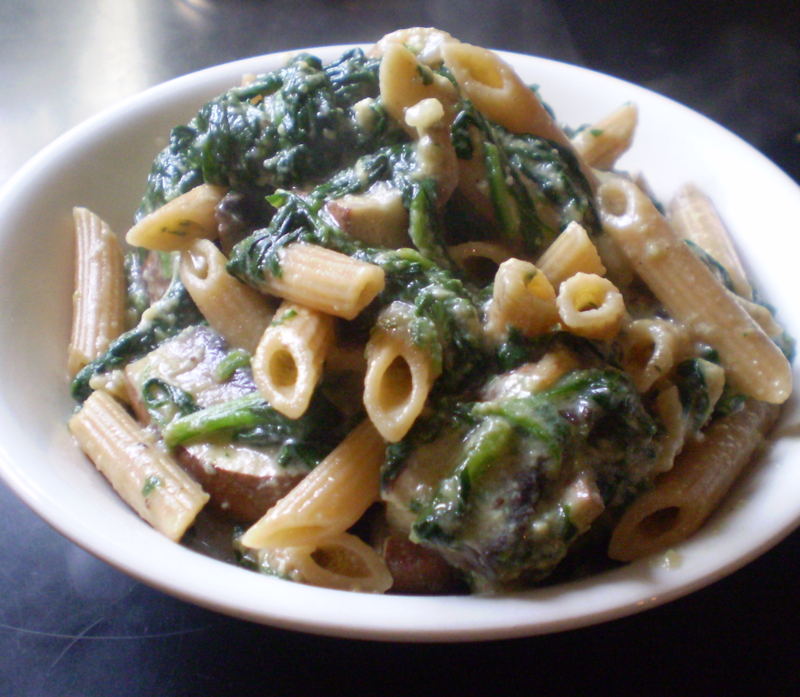 Spinach poached in a milk sauce with ricotta added in. Prepare the lasagna pasta as instructed on the packaging but reduce the cooking time by half. The pasta will finish cooking in the oven. 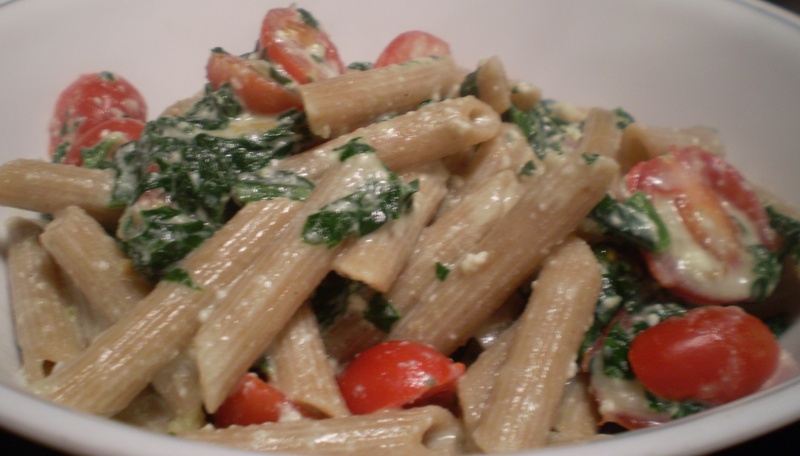 I like to use Catelli Healthy Harvest Whole Wheat Pasta. Whole wheat lasagna pasta cooking in a pot of hot salted water. Once the meat sauce, spinach and pasta is ready, it’s time to assemble the lasagna. Take a deep baking dish that will fit the lasagna sheets and four thick layers of meat sauce and spinach, butter it with unsalted butter. 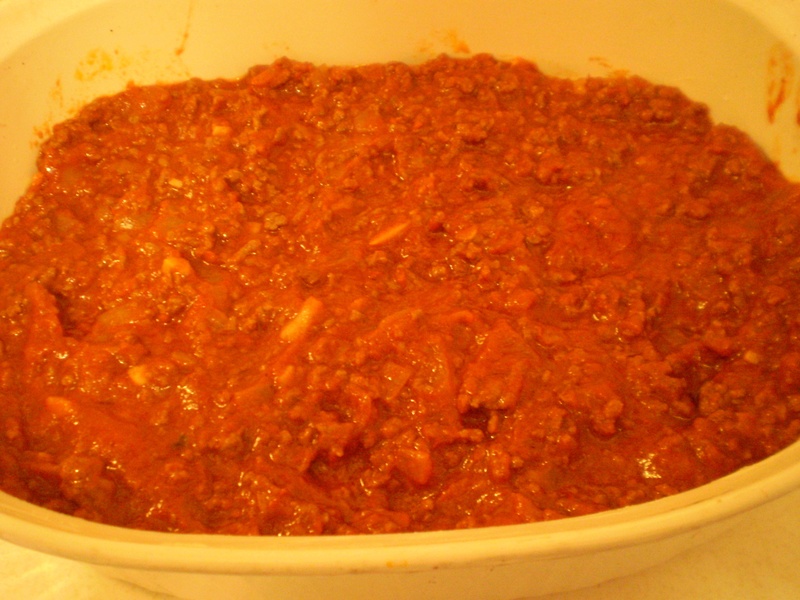 Scoop out some of the liquid from the top of the meat sauce and place it on the bottom of your baking dish. 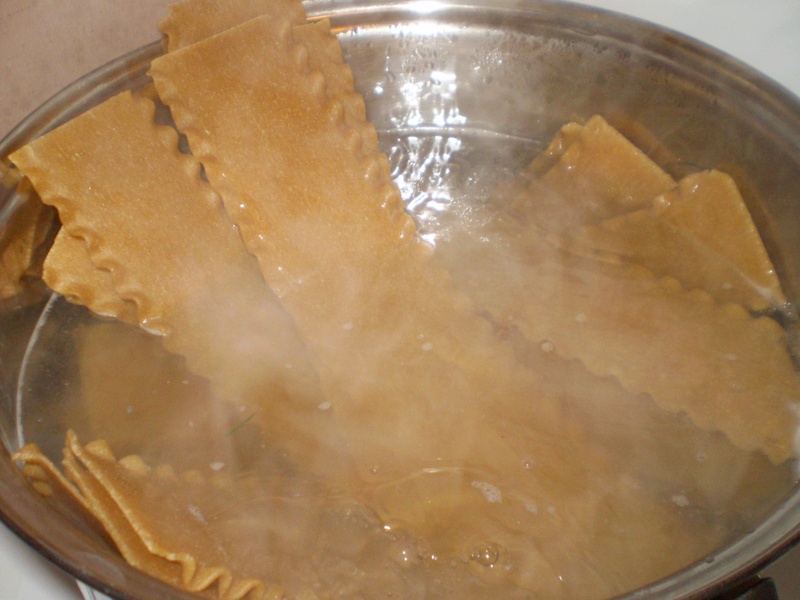 Doing this will prevent the bottom of your lasagna from drying out. 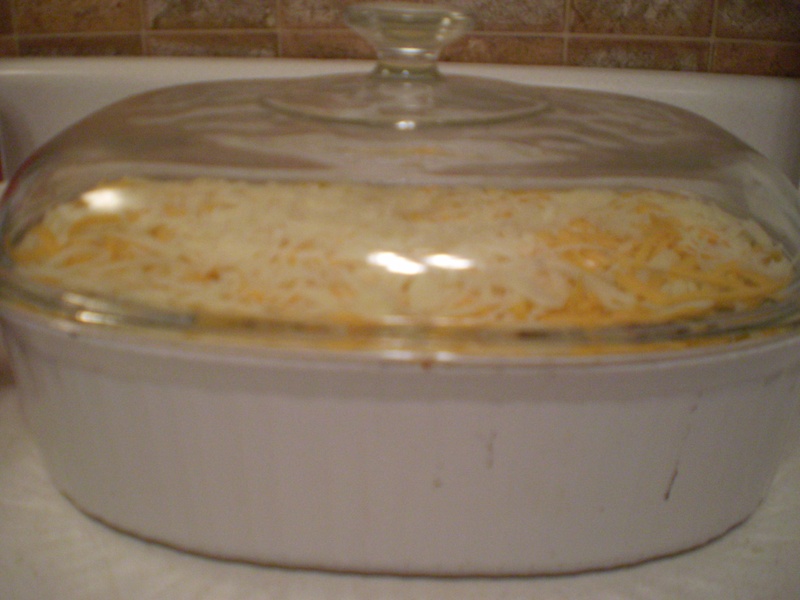 Buttered baking dish with tomato sauce as its bottom/first layer. Cover the tomato sauce with a layer of the lasagna sheets. 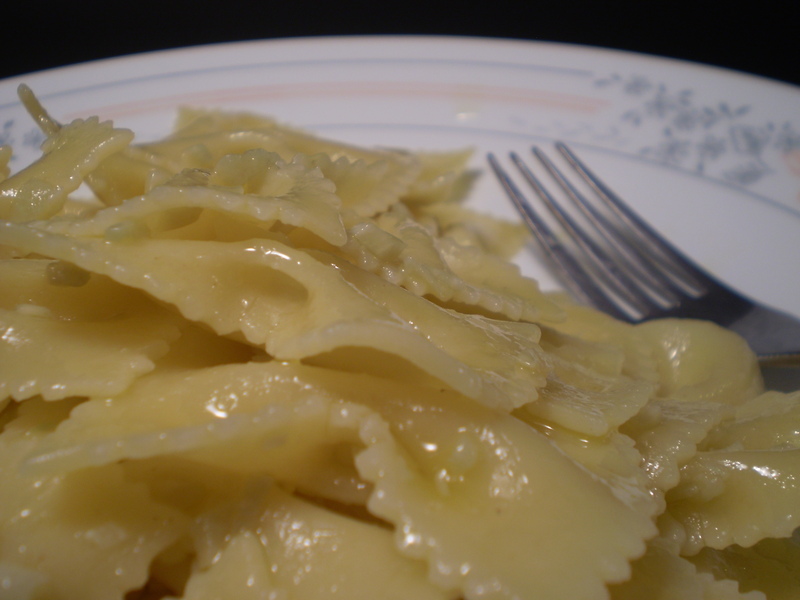 If needed, use a pair of scissors to trim the pasta so that it fits perfectly into the baking dish. 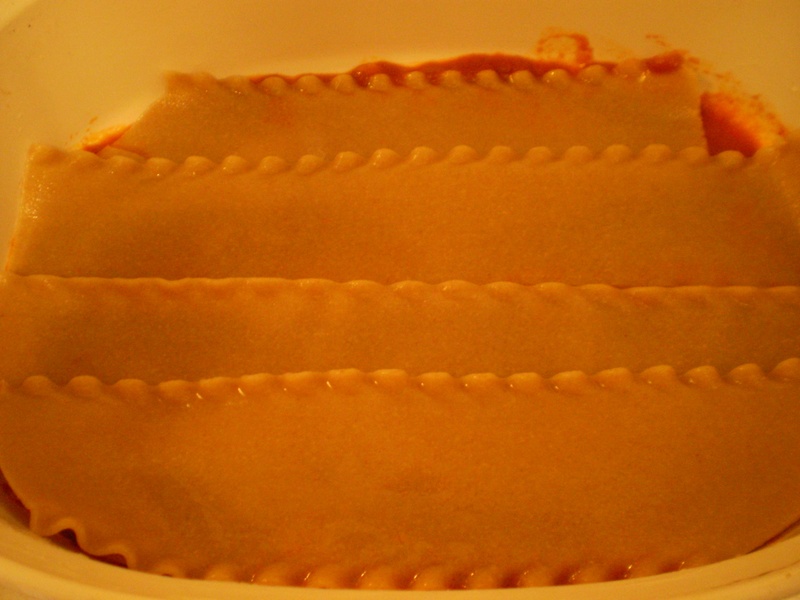 The first layer of lasagna sheets. Place half of the remaining meat sauce on top of the lasagna sheets. 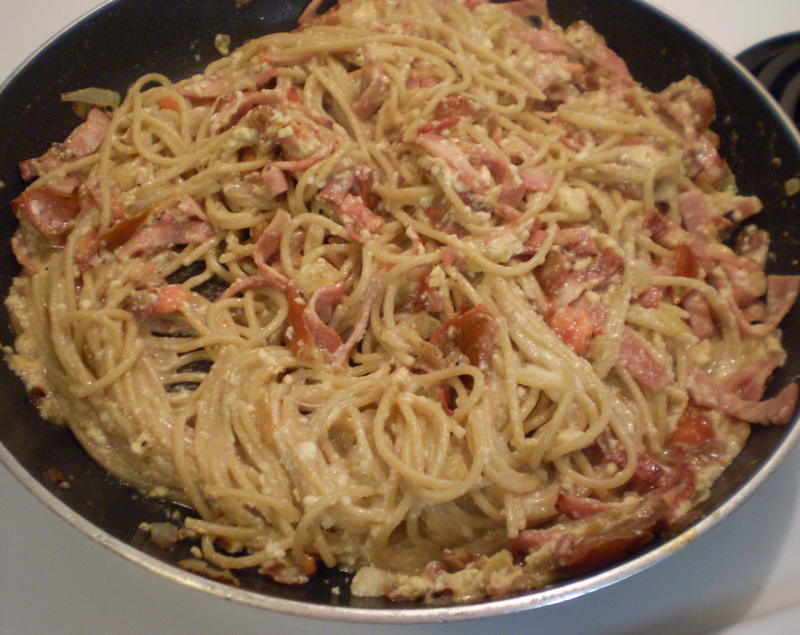 Spread evenly over the pasta. Meat sauce on top of the first layer of pasta. 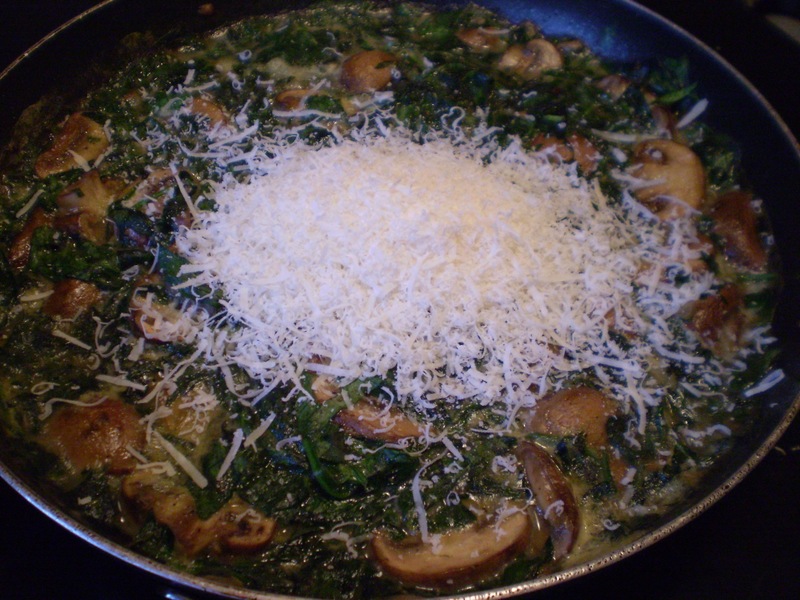 Place another layer of lasagna sheets and then spread half the spinach and ricotta mixture evenly over the pasta. 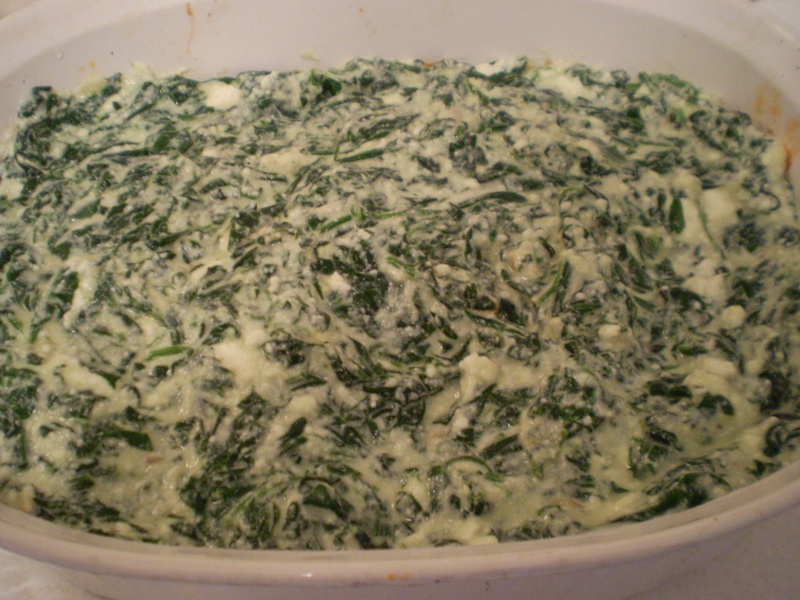 The first layer of spinach and ricotta. Repeat the procedure. That is, place another layer of lasagna sheets on top of the spinach and ricotta, then spread the remaining meat sauce evenly over the pasta. Add the final layer of pasta on top of the meat sauce. 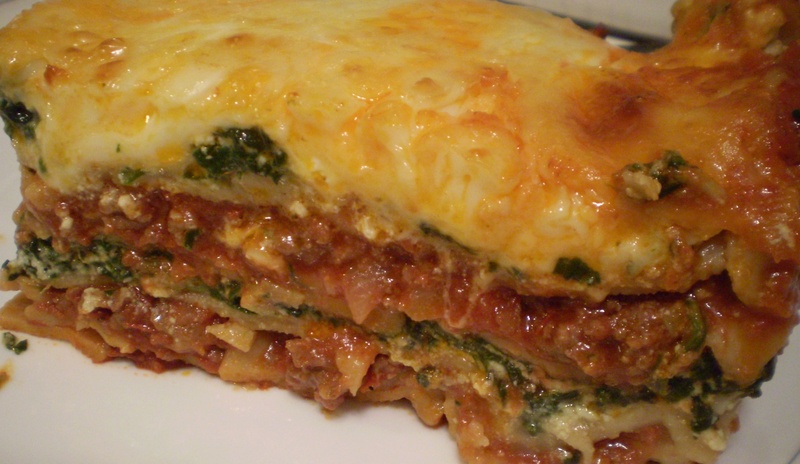 On top of this layer of lasagna sheets, spread the remaining spinach and ricotta evenly over the pasta. 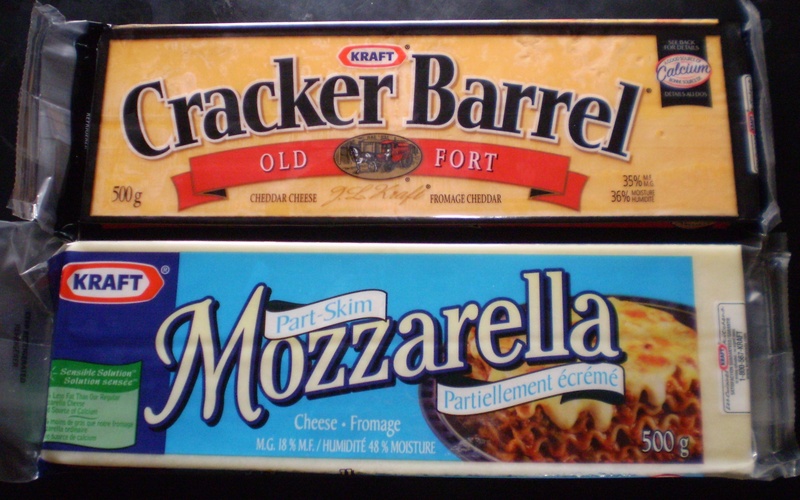 Grate about one cup each of cheddar and mozzarella cheese. 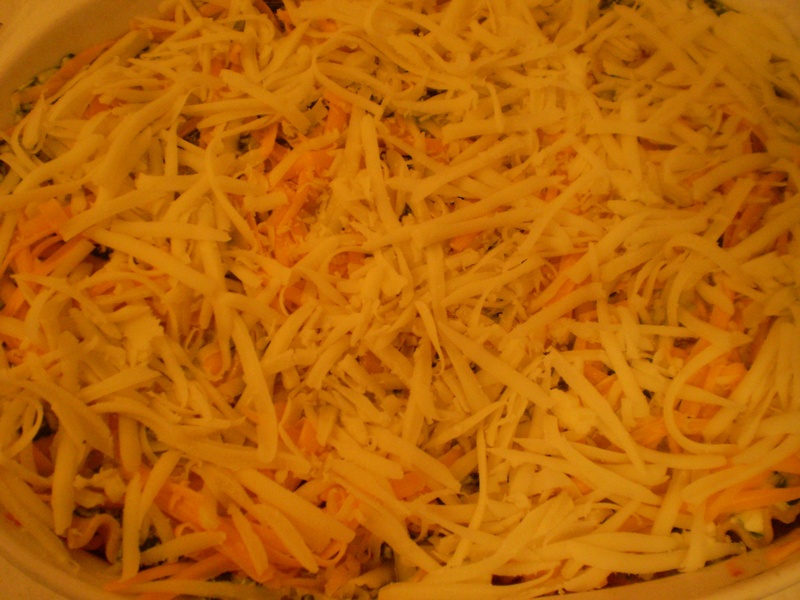 Sprinkle the cheeses evenly on top. Make sure that there is cheese covering all the way to the edge of the lasagna. The lasagna is now ready to be baked in the oven. Grated cheddar and mozzarella cheese on top of the lasagna. Place lasagna covered in a preheated 400°F oven for 45 minutes. It’s important to cover the lasagna, otherwise it will dry out in the oven. Cover the lasagna before placing in the oven. 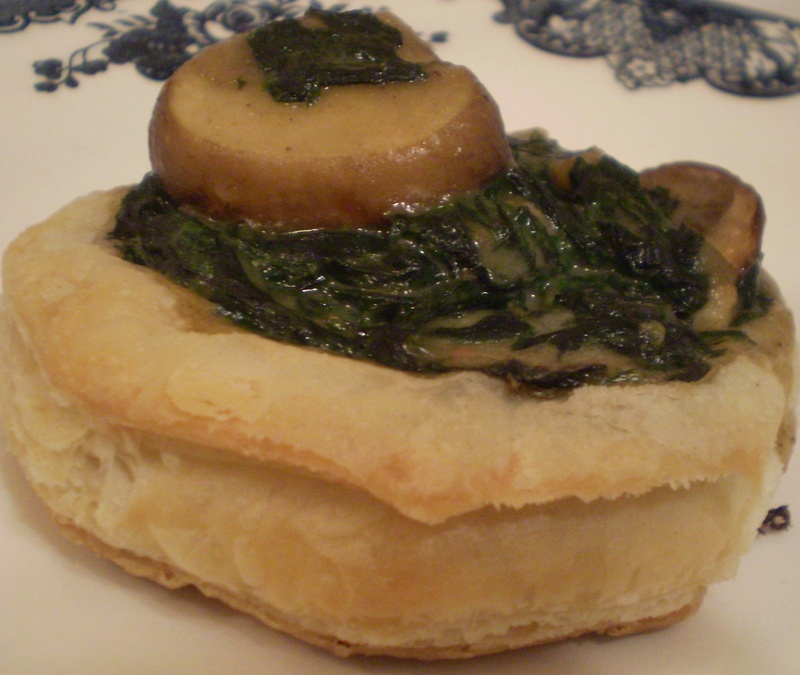 After 45 minutes, remove the cover and bake at 450°F for another 5 minutes or until the top turns a golden brown. 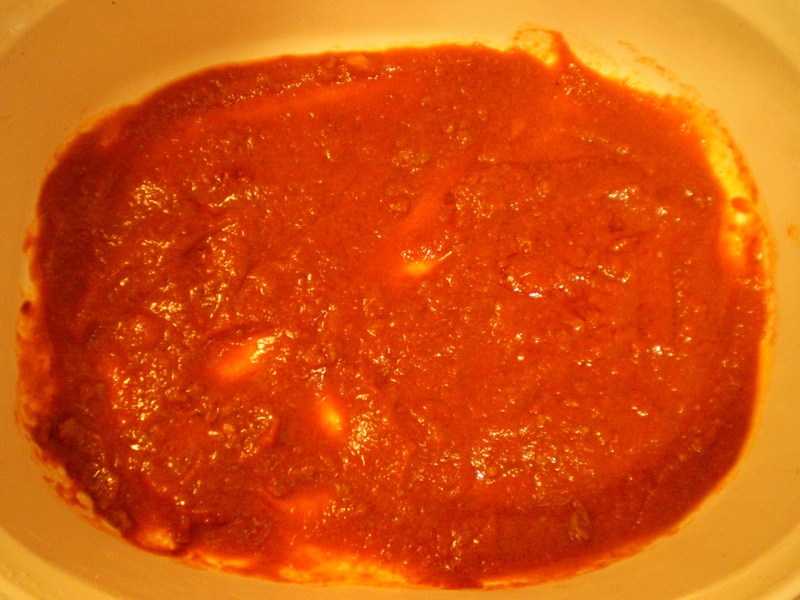 Lasagna after its been in the oven for a total of 50 minutes. 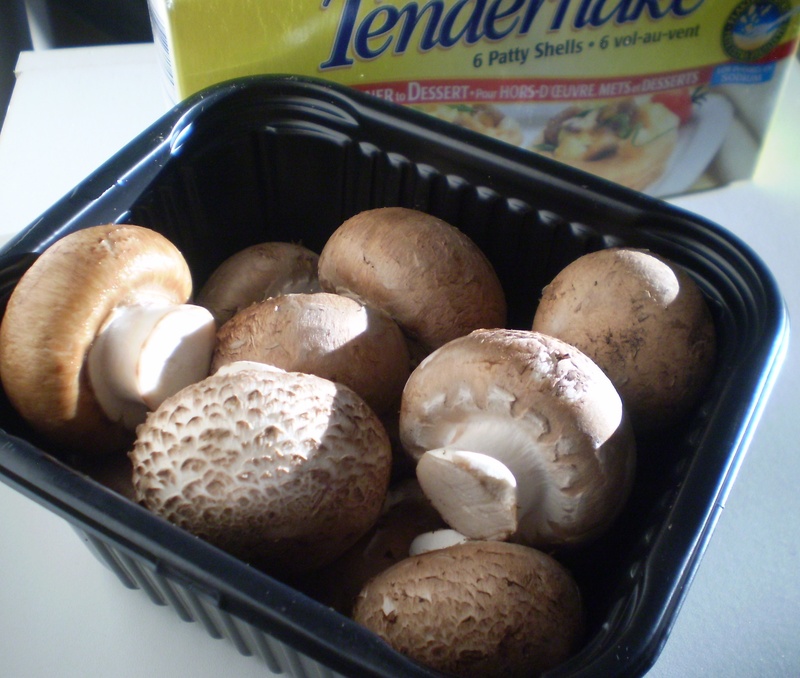 Remove from the oven and let cool for about 15 minutes before serving. Waiting until the lasagna has cooled down a bit makes cutting the lasagna a lot easier. Heat a large sauce pan on hot. 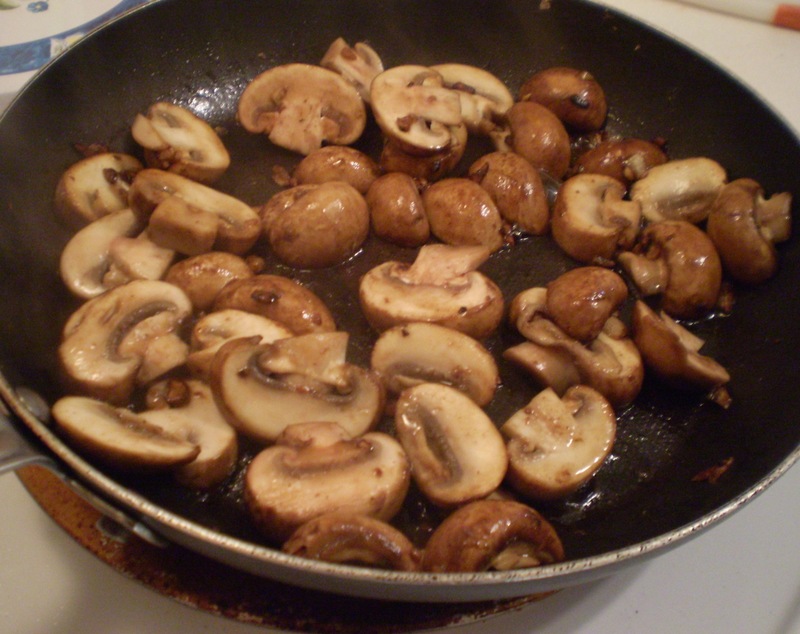 Once the pan becomes hot, add in the olive oil and garlic. 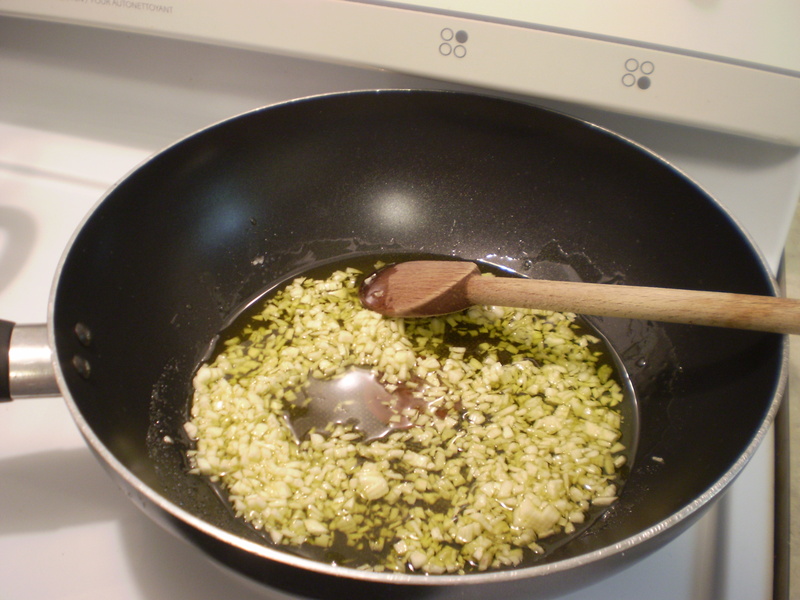 When the garlic has browned (about 1 minute), sprinkle flour evenly and thinly over the pan. Add in half the spinach and milk. 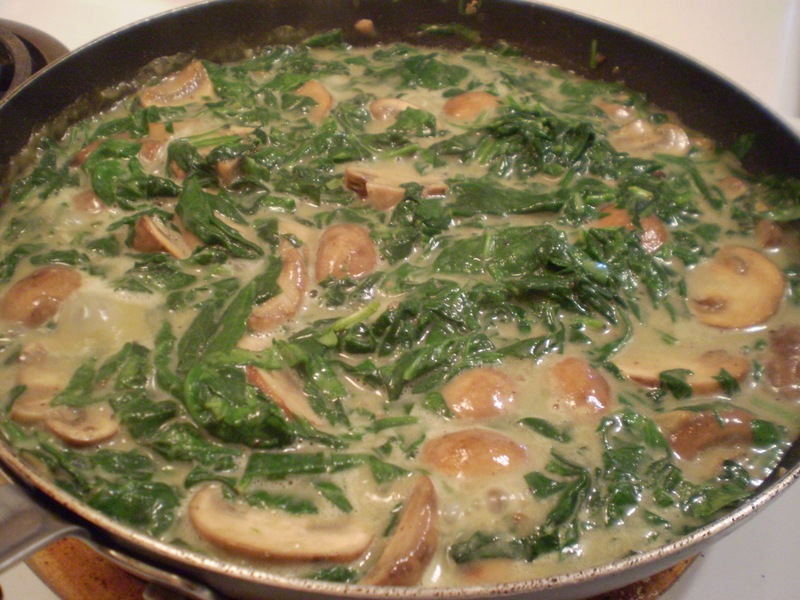 Once the spinach has wilted, add in the remaining spinach and turn down the heat to a gentle simmer. 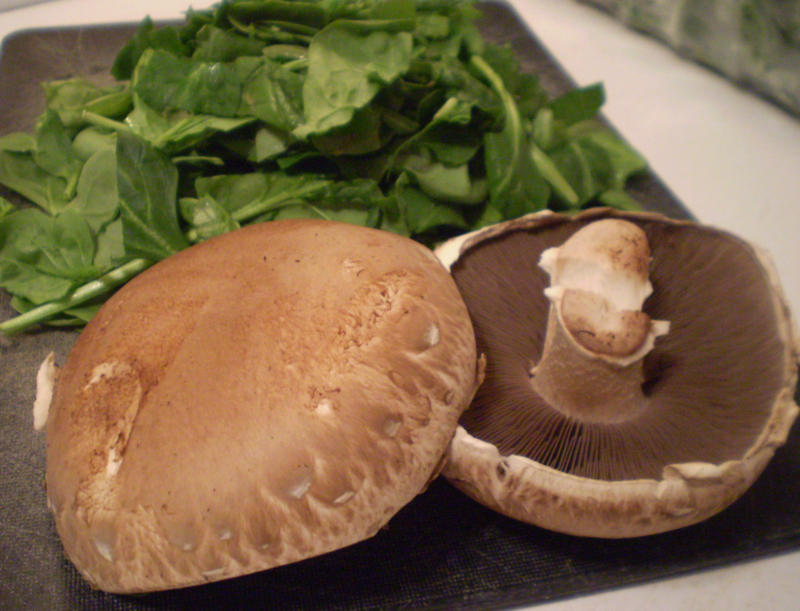 Cook the spinach mixture for 10 to 15 minutes, adding more milk if required and add salt and pepper to taste. 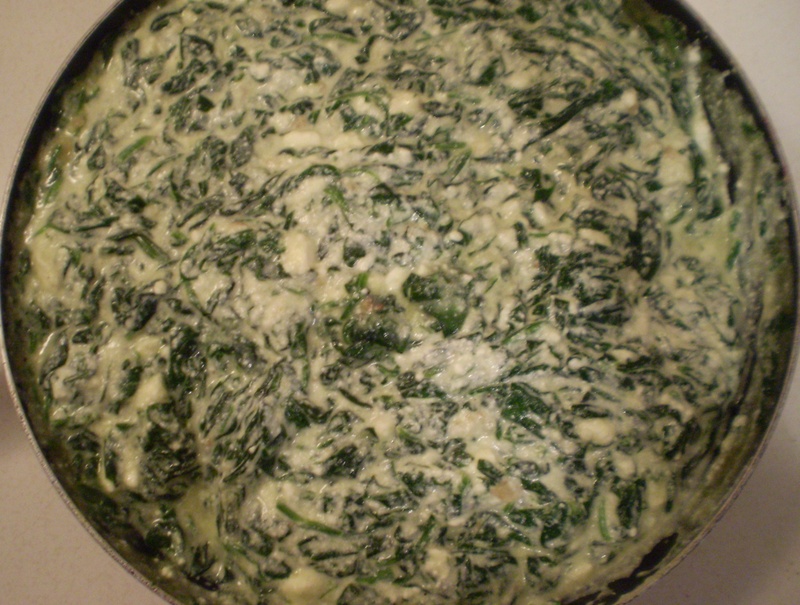 When the spinach is finished cooking, add in the ricotta and parmesan cheese. Stir until the mixture is thick and smooth. Right before serving, add in the cherry tomatoes to warm them through (this will only take a minute). Do not overcook the cherry tomatoes. 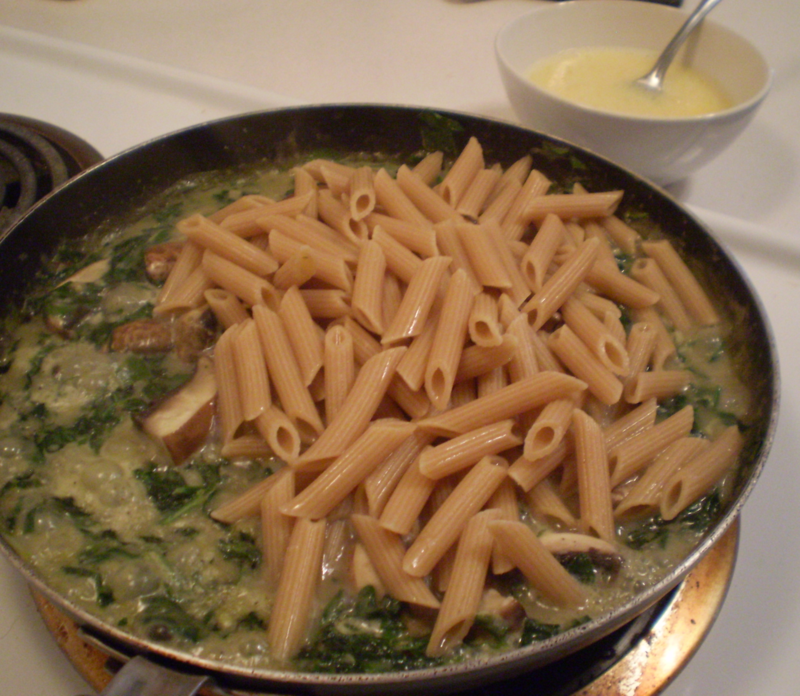 Mix the spinach and ricotta sauce with the pasta. 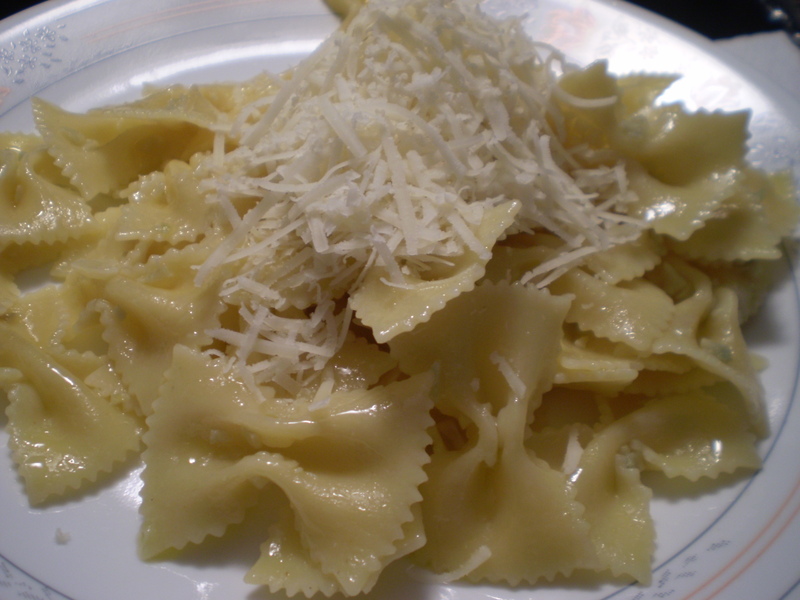 Sprinkle grated parmesan cheese on top if desired. Serve immediately. This dish makes four sides or two generous dinner portions.